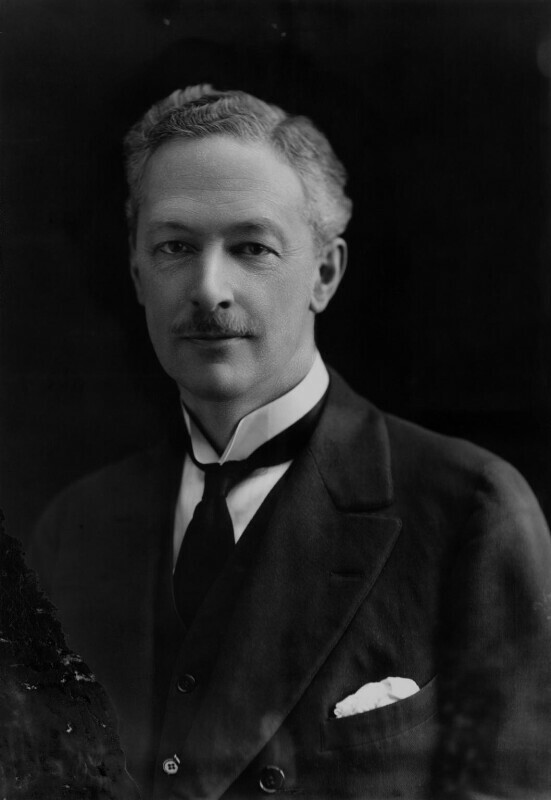 Sir Eustace Henry William Tennyson d'Eyncourt, 1st Bt (1868-1951), Naval architect and engineer. Sitter in 8 portraits. King George V changes his name from 'Saxe-Coburg' to 'Windsor.' Amid wartime anti-German public sentiment the British Royal Family decided to relinquish their German name and titles. The name 'Windsor' was chosen as variation on ''Wettin', the late Prince Albert's personal surname. The National Photographic Record is established at the instigation of the photographer Walter Stoneman to commission photographs of 'distinguished living contemporaries of British nationality.' This project allowed the National Portrait Gallery to circumvent its own rule that portraits could not enter the collection until the sitter had been dead ten years. The Russian Revolution begins with the February Revolution and the abdication of Tsar Nicholas II. Seven months later the Bolsheviks led by Vladimir Lenin seize power in the October Revolution forming the Soviet Communist Government, which lasted until 1991. The USA abandons its neutrality and joins the war against Germany following a series of attacks on American passenger and merchant ships.